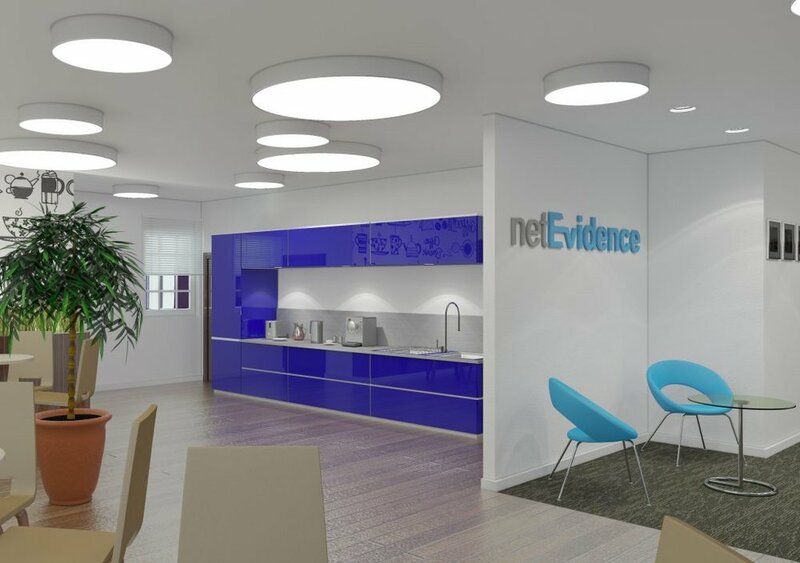 Net Evidence is an IT company providing cloud managed services and is based in Abbey Mill Business Park, Lower Eashing, Surrey. We were consulted about the creation of additional space. 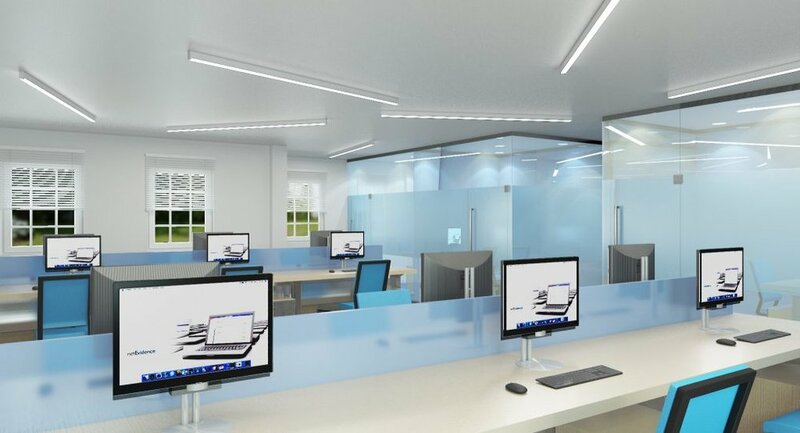 The project incorporated full in-depth design and a feasibility study performed on two office premises at the same time. Our first task was to reconfigure the first existing office departments to see if we could gain more space. Additional Management offices were needed. Secondly, as it was felt that the Sales department generated too much noise through their daily telephone work, which was considered disruptive to other staff members, we had to rethink how to separate them. We were asked how to create quiet zones for other departments for different work tasks and required thinking space. Finally we had to create space for nine more people joining the company. We started with the existing office by measuring up and producing CAD outlines on both buildings. We then looked carefully at the available space and desking sizes. Different acoustic and screening options were considered, along with acoustic ceiling tiles to absorb noise generated in the sales area. In addition to this we used both existing desking to save money and new desks sizes to accommodate the extra staff. Different working layouts were produced. 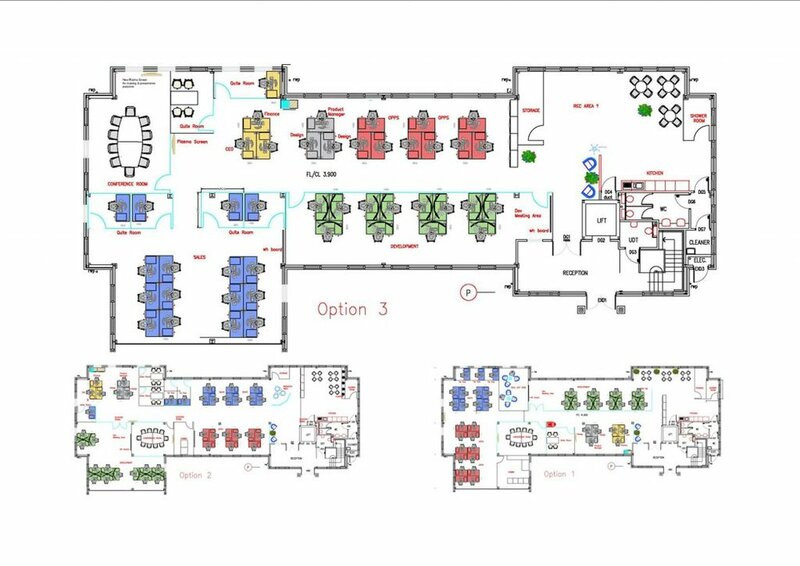 We even produced maximum occupancy floor plans showing how many people could be accommodated into the area using new desking verses existing desking. To assist the client we also produced high-end 3D computer-generated visualisation of how the proposed interior would look once built. Our work assisted the office fit-out contractor with a clear design allowing them to produce accurate costings for both premises. Due to our feasibility study, the end result was clear that the move to the larger office was more cost-effective and would provide the future space for expansion. 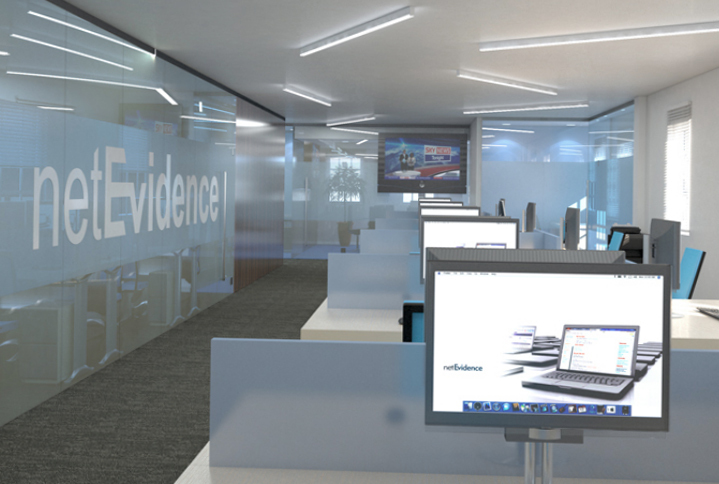 Therefore the Net Evidence directors decided to move to their current office location where they continue to thrive. Another happy client.